This book contains a collection of papers related to the history and historiography of Warfare, Politics and Power in the Ancient Mediterranean world. The contributions, written by 19 recognized experts from a variety of methodological and evidentiary perspectives, show how ancient peoples considered war and conflict at the heart of social, political and economic activity. Though focusing on a single theme – war – the papers are firmly based in the context of the wider social and literary issues of Ancient Mediterranean scholarship and as such, consider war and conflict as part of a complex matrix of culture in which historical actors articulate their relationships with society and historical authors articulate their relationships with history. The result is a rich understanding of Ancient World history and history-writing. The volume is presented in honour of Waldemar Heckel, a foremost scholar of Alexander the Great and Ancient Warfare. 1 Darius I and the Problems of (Re)conquest: Resistance, False Identities and the Impact of the Past. 10 Arrian and ‘Roman’ Military Tactics. Alexander’s Campaign against the Autonomous Thracians. 13 Alexander’s Unintended Legacy: Borders. 14 Cleomenes of Naucratis, Villain or Victim? 15 Cult of the Dead and Vision of the Afterlife in Early Hellenistic Macedonia. 16 What did Arsinoe tell Lysimachus about Philetaerus? 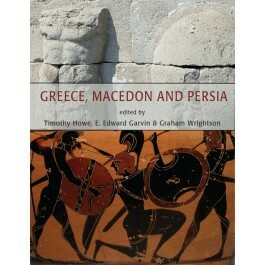 "...provides paperson a mix of topics of broad interest to historians of the Macedonian kingdoms." "All in all, this anthology is therefore an interesting and generally high-quality publication."